The Freud Diablo D1284CDC 12 in. x 84-Tooth Trex Blade is the only recommended composite decking by Trex Company when cutting composite decking materials. The blade delivers maximum performance and highest quality of finish; making it a must-have tool for both professionals and DIYers planning composite decking projects. 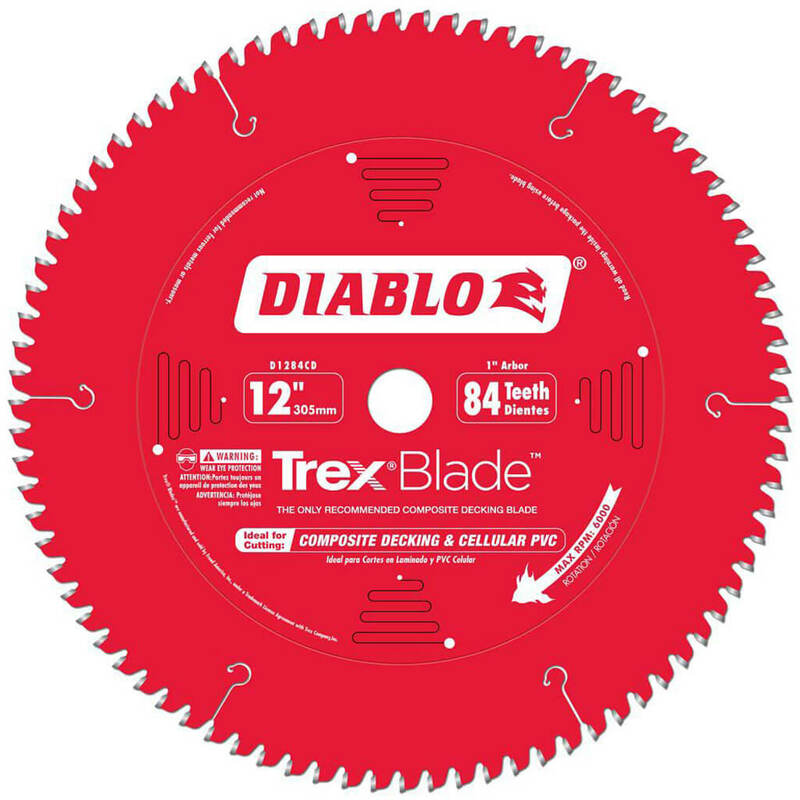 Diablos new saw blade series has a modified triple chip tooth grind design; Perma-SHIELD non-stick coating; and specific TiCo Hi-Density carbide to deliver more efficient and cleaner cuts with no swirl marks; less gumming of blade teeth and longer cutting life.